We live in an increasingly complex, diverse, globalized, and multimedia-saturated world driven by innovative ideas, knowledge, and technologies. Literacy has new meaning in this rapidly changing environment. Mastery of core academic subjects is essential, but in today's global age, more is needed. Information and communications technologies have transformed the world, making digital literacy imperative for navigating the challenges of the 21st century. A new vision of teaching and learning–one in which knowledge and skills are applied to real world issues–is needed to prepare students to take full advantage of the opportunities of the future. Technology is integrated into the curriculum and the learning process and it empowers our students as anytime, anywhere learners. 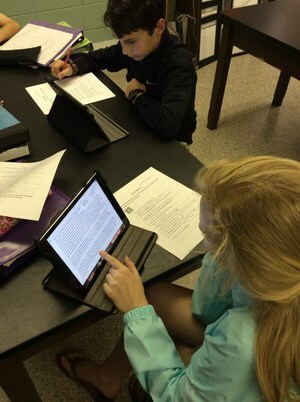 Students employ laptops, mobile devices, and a comprehensive set of digital applications and tools to create, communicate, collaborate, and demonstrate their growing understanding of the world around them. In turn, BA graduates students who are self-directed, lifelong learners, and responsible global citizens.